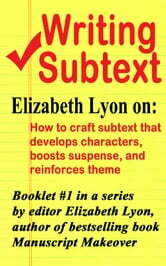 Subtext is one of the most elusive and powerful elements of craft. Literally meaning what lies beneath the text, it is an undercurrent, a hidden agenda, a vibe, a reinforcement of theme—and it exists in what is implied but not explicitly spelled out. It has impact because what you don’t say is often more powerful than what you do say. 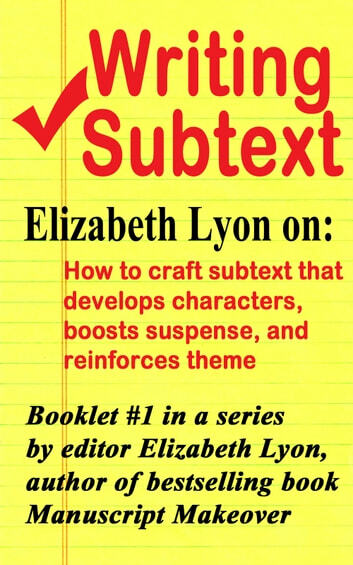 Elizabeth Lyon, editor and author, demystifies the techniques involved in writing subtext, and offers examples and excerpts from multiple genres. Lyon uses the same incisive and clear instruction that she is so well known for in Manuscript Makeover. For many writers, adding subtext is the missing link to writing powerful prose. She lives in Springfield, Oregon. To sign-up for announcements of future booklets, visit www.elizabethlyon.com/announcements.